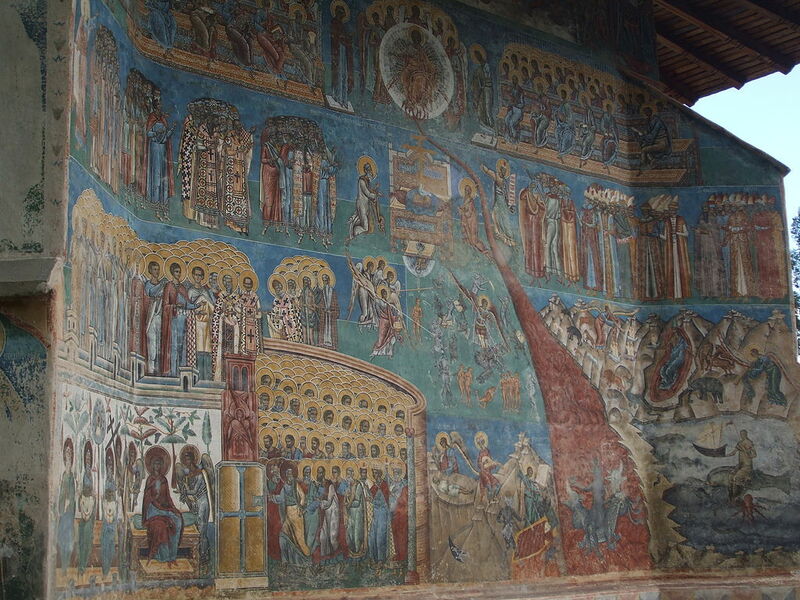 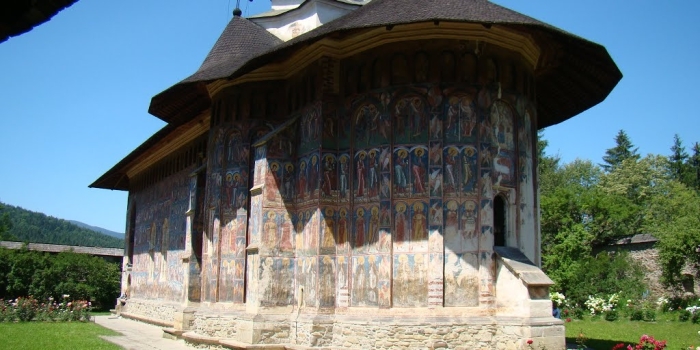 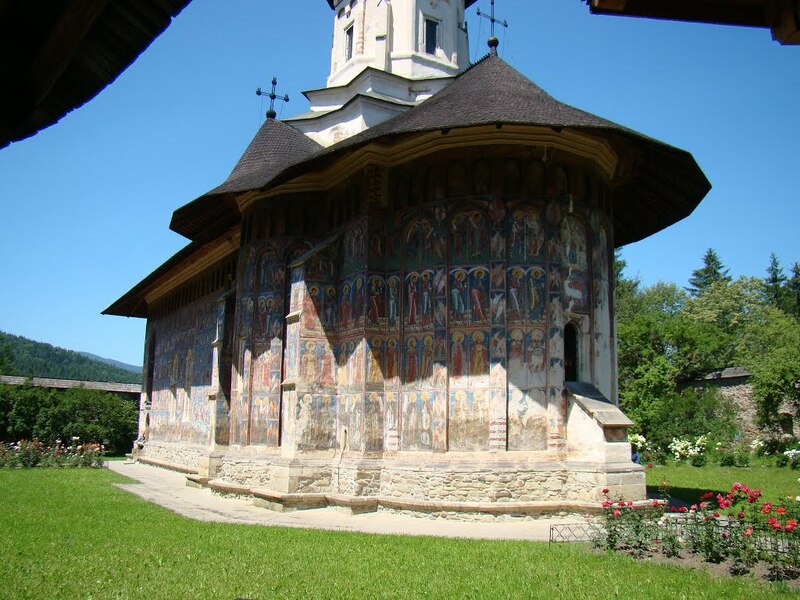 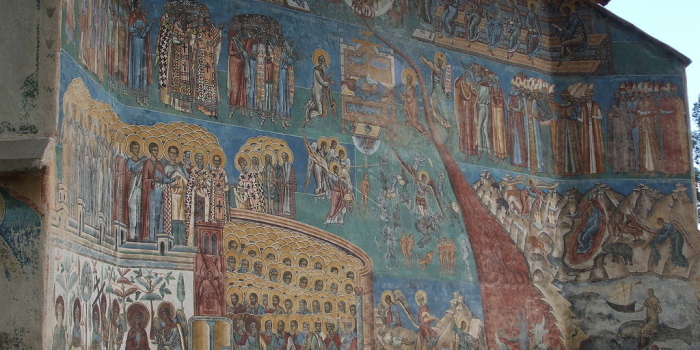 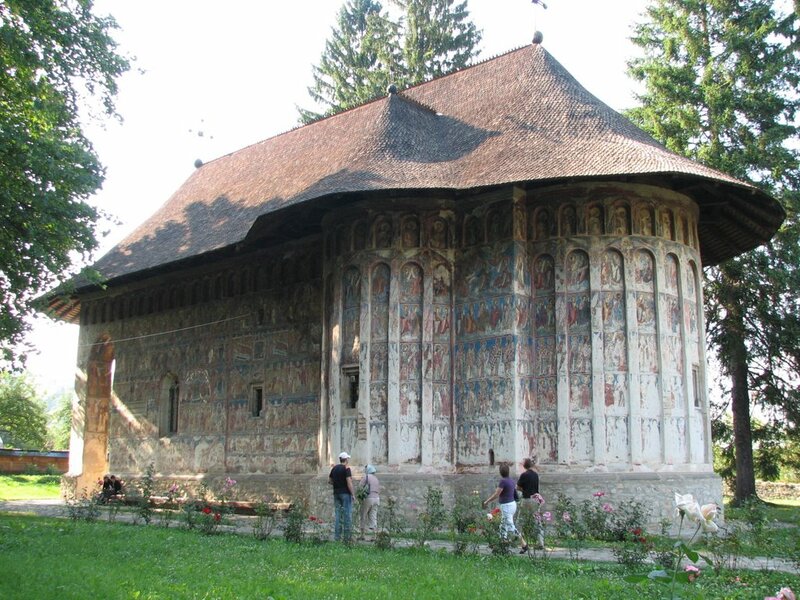 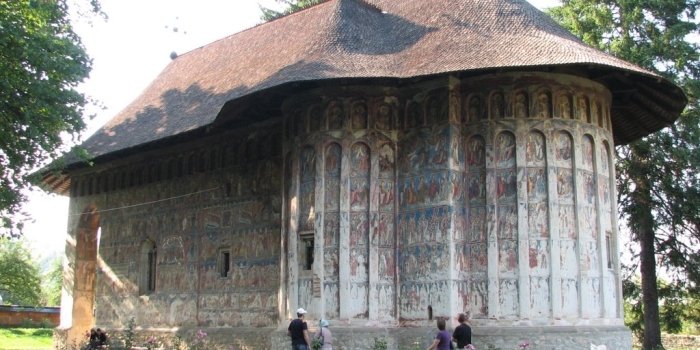 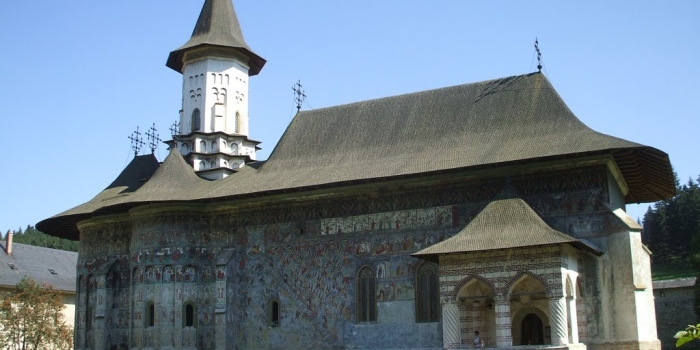 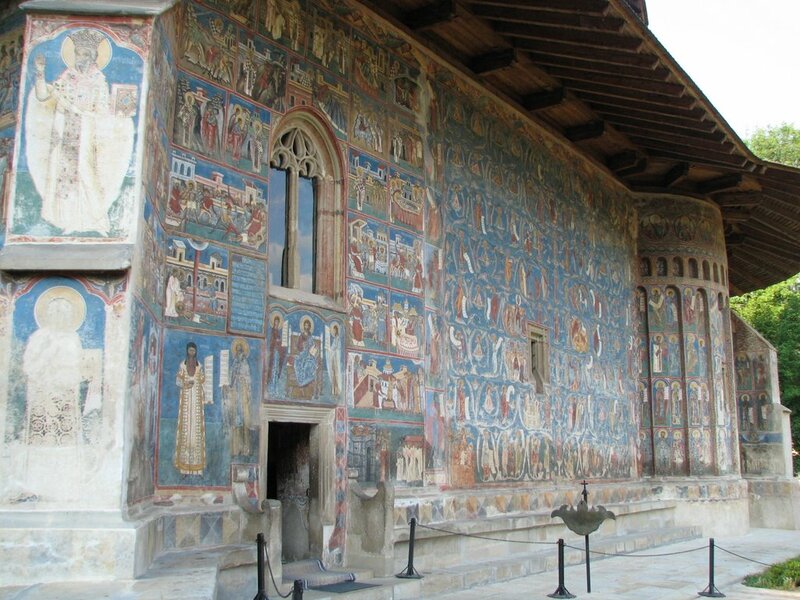 Founded in 1530, Humor (Hoo mor) is rather small physically, but looms large among Bucovina’s treasures with a variety of frescoes dating from 1535, including one illustrating the Return of the Prodigal Son and one with a “humorous” depiction of the devil as a woman. 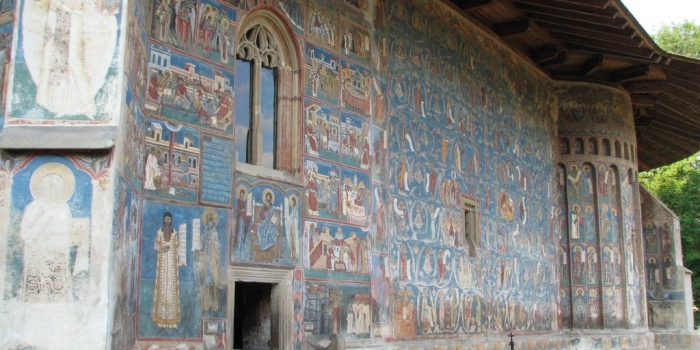 High walls and heavily buttressed defensive towers surround the great monastic complex of Sucevita, giving it the appearance of a fortress. 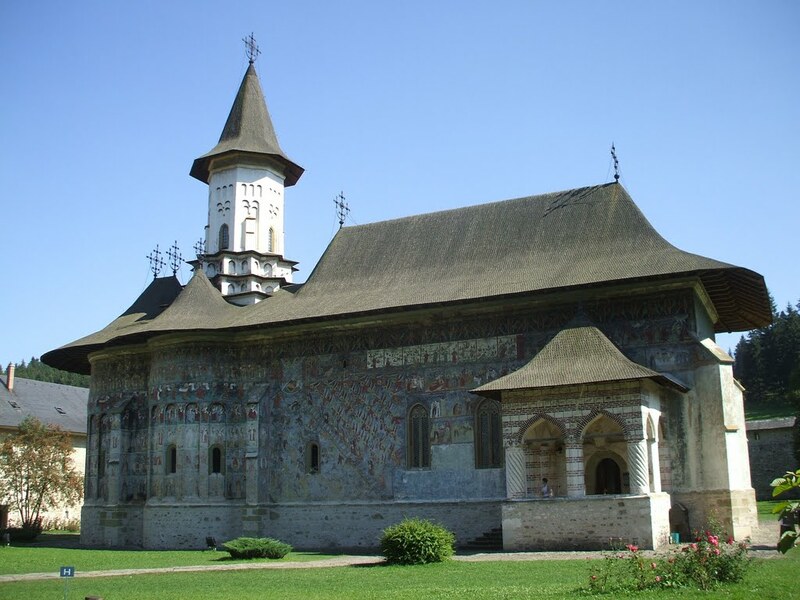 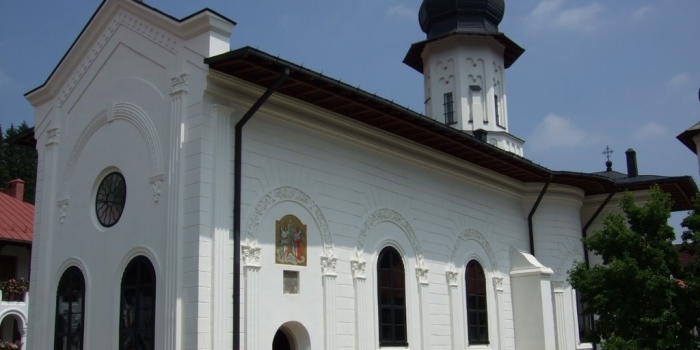 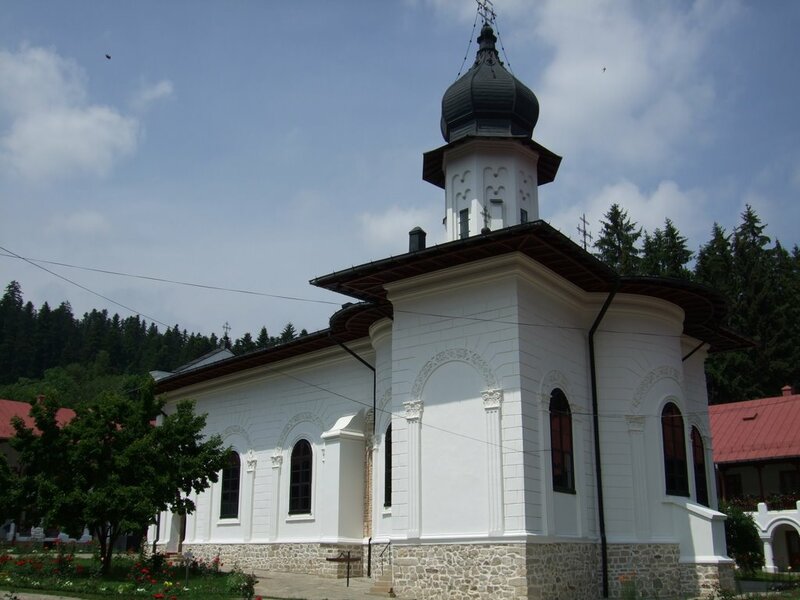 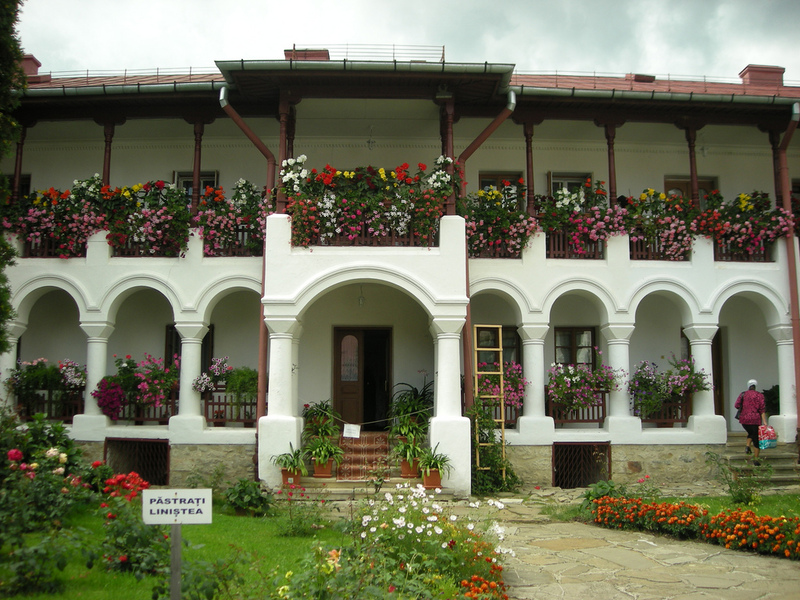 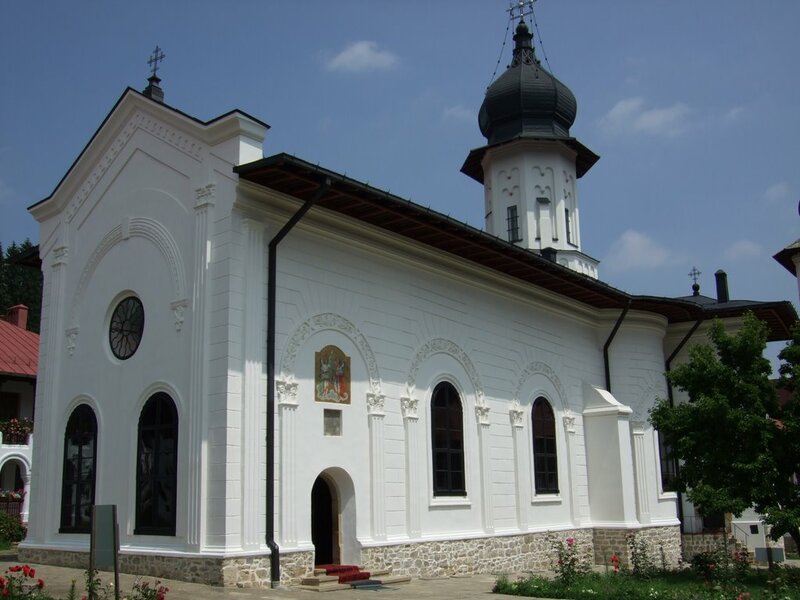 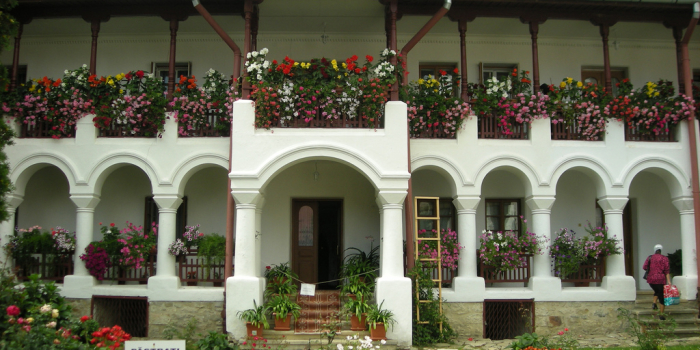 Founded in 1581 by Gheorghe Movila, Bishop of Radauti, it was later expanded by his brother, Ieremia, ruling prince of Moldavia, who added massive ramparts and turrets. 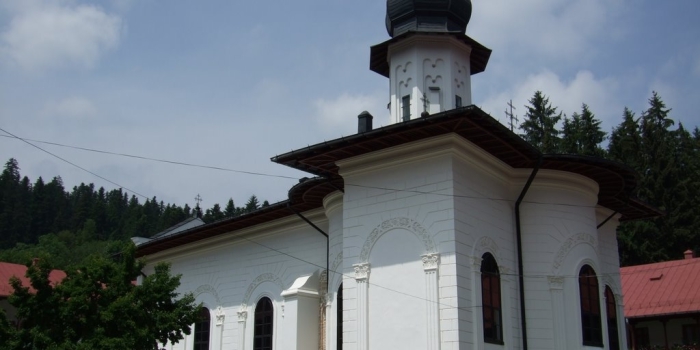 An elegant steeple resting on a star-shaped base tops the church. 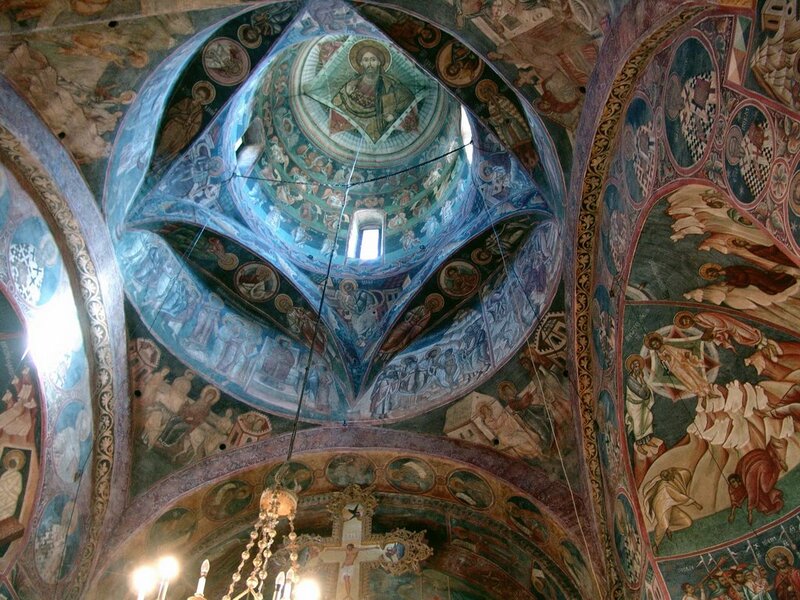 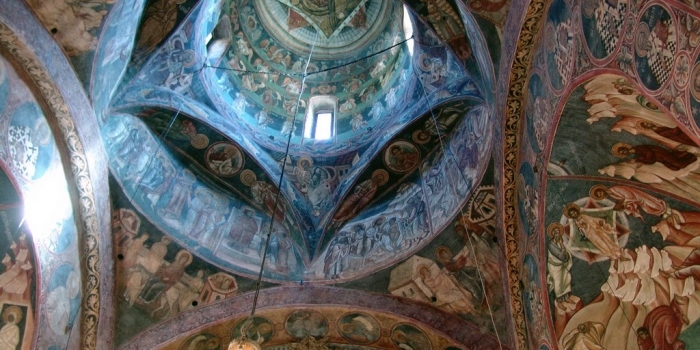 Massive eaves protect the outside frescoes, painted by local artists in 1602-1604.